A Songbook from the 20’s blows the dust off the magical 1920’s. This songbook is an all acoustic live set with popular American music from the golden era of pop music. Or, as we like to describe it: black and white blues from 1729 to 1927. A Songbook from the 20’s is the first songbook, made 2005. It’s still being updated today. There’s more than 50 titles, all arranged with three part vocal harmony. Five musical styles are highlighted, all rooted in the 1920’s: blues, mainly country blues; gospel, obviously connected to the blues; early jazz, torch songs, musical hits; early country music; and a few folk traditionals, later extending into A Folksongbook. This collection of songs allows us to create unique shows. No two shows are alike, setlists are thoughtfully selected to the occasion. Usually, A Songbook from the 20’s is performed as an acoustic three-piece, often Jon Birdsong joins in on cornet. 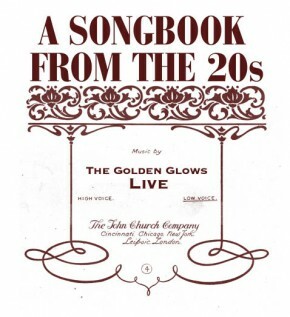 The EP A Songbook from the 20’s was recorded live and released in 2007.